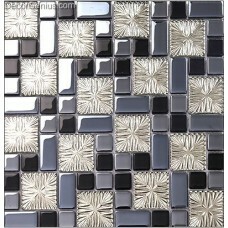 What's a good glass mosaic tile? 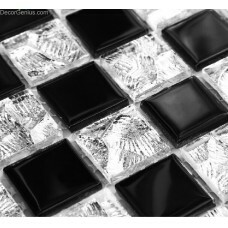 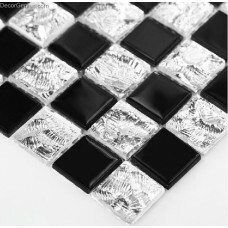 It should can be used on different place such as kitchen countertop..
Black and White always be a classic style in glass mosaic tile. 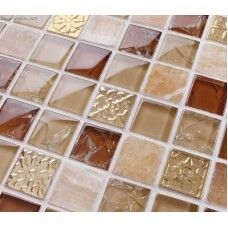 This special tile it has got a crack.. 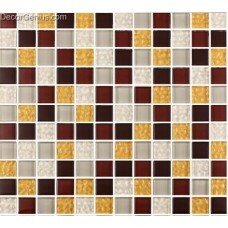 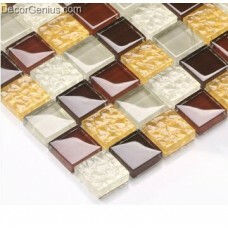 This is an antique classic design glass mosaic tile, using some warm tone such as dark blue, amber, .. 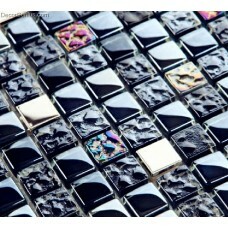 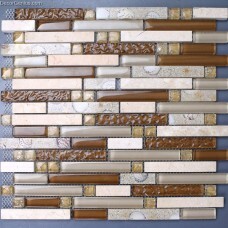 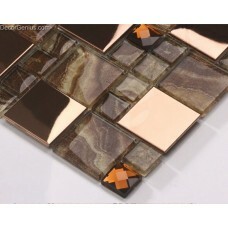 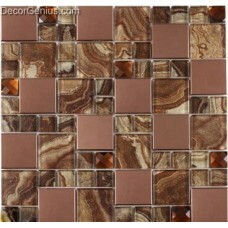 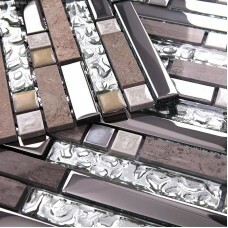 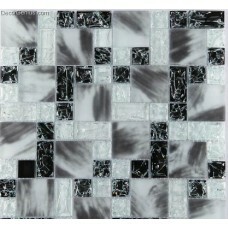 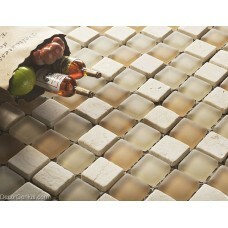 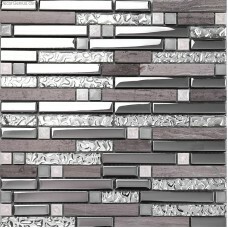 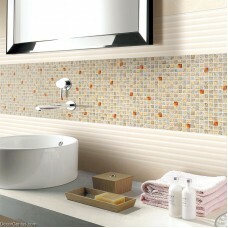 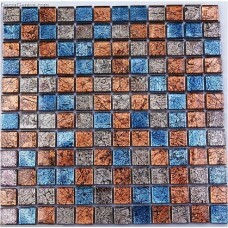 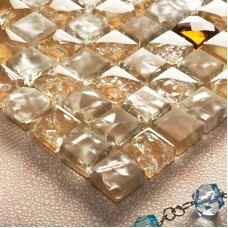 This glass & metal home mosaic tile have the appearance of faded metal, giving any room a more s.. 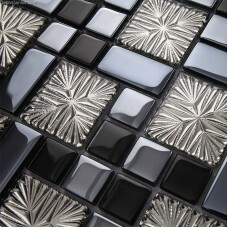 This tile comes with frosted chips that mixed in black, white. 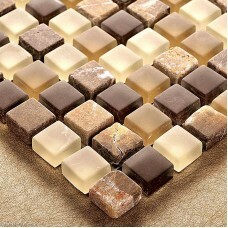 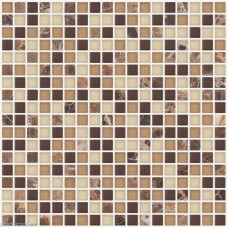 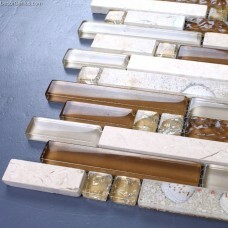 The designer delicately make the resi..
Another epic brown frosted ice glass mosaic tile! 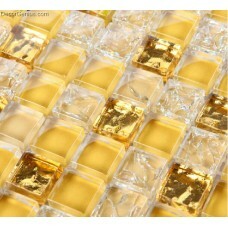 Look carefully it's have a diamond shape chips. 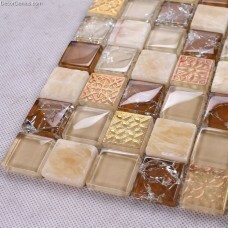 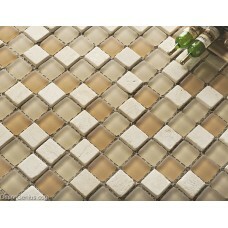 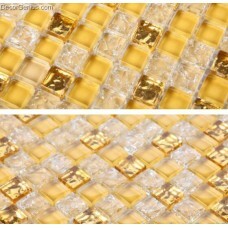 Th..
A four colors frosted yellow glass mosaic tile, including yellow, beige, white and gold chips. 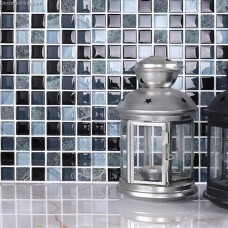 ..
Everybody loves classic black glass mosaic tile, this black mosaic tile featured a flowery pattern o..
Look at this stunning Galvanized Metal tile, it blends with high temperature glass chips. 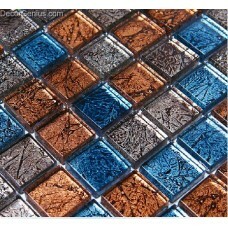 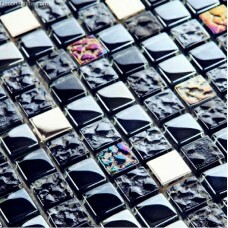 It's healt..
Glossy, easy for cleaning, This glass metal resin mosaic tile makes your living room or kitchen back.. 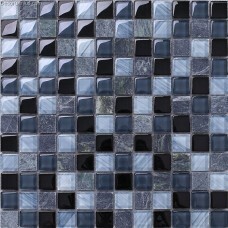 This crystal blue, dark blue and black glass mosaic tile is 8MM thickness, 1 sqft per sheet. 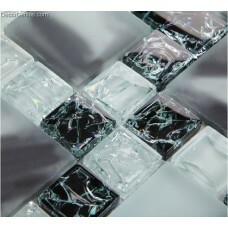 It's ze..